Simplicity Vacuum Cleaners is all about creating exceptional products that you can count on for superior performance and simplicity. The organization has designed a range of vacuum cleaners to suite different surroundings and conditions. These upright simplicity vacuum cleaners are ideal for home that possess wall-to-wall plush carpeting and there are quite a few options you can choose from. Synergy: This vacuum cleaner features an innovative technology, which combines two motor systems to deliver a powerful performance. While the first motor provides lots of suction, the second one ensures efficient use of various cleaning tools. This outstanding feature makes it one of the most sought after vacuum cleaners. Synchrony: This is yet another sleek yet powerful range of vacuum cleaners that feature the patented Tandem Air System™ and are available in premium, deluxe and standard series. Symmetry: Embedded with quality parts such as HiFlow™ HEPA bags and metal fittings ensure not only superior performance but also a long lasting durability and sturdiness. 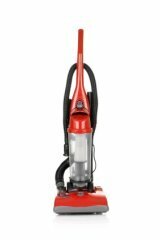 7-Series: Great suction, airflow and highly evolved filtration system makes this a winner where effective and powerful vacuum cleaners are concerned. Freedom: This 8 pound vacuum gives you the comfort to operate this tool with ease anytime and anywhere. The various models available are F3700, F3600, F3500 and F3300. Commercial: As the name implies this series is meant for your commercial units and the models include 7900/7950, Symmetry, 6870 and Freedom. Canisters are versatile and they are perfect for non-carpeted floors. So if you want a vacuum cleaner that can clean pesky corners or beneath low furnishings, then the canister vacuum is the ideal choice for you. Full Size: The full size category contains two models i.e. S38 and S36. A powerful dual combination of superior cleaning performance and filtration is guaranteed. Compact: These compact canisters are truly powerful tools that combine heavy-duty performance with extreme portability. Jack and Snap are the two models. Sub-Compact: You couldn’t get a more compact canister than this. Though small in size, this little beauty’s power cannot be undermined. Packed with a powerful motor and onboard tools this tool can deliver a punch. There are two types of vacuum cleaners under this series, where one is Filtered Cyclonic whereas the second one is HEPA Bagged vacuum cleaner. Filtered Cyclonic: This filtered cyclonic central vacuum cleaner features a Teflon coated lifetime HEPA filter, which helps in cleaning the air as well as in protecting the motor. Deluxe, Premium and Ultra are the three filtered cyclonic vacuum cleaners that are available. HEPA Bagged: These HiFlow™ HEPA Bagged central Simplicity vacuum cleaners are ideal to whisk all those pesky dust particles and make your home pristine clean. HiFlow Hepa, Deluxe HiFlow Hepa, Premium HiFlow HEPA and Ultra HiFlow HEPA are the four models that are available under this series.